Mike Weatherley, the Conservative MP whose bill to criminalise squatting came into force in September, modestly named the resulting law after himself. 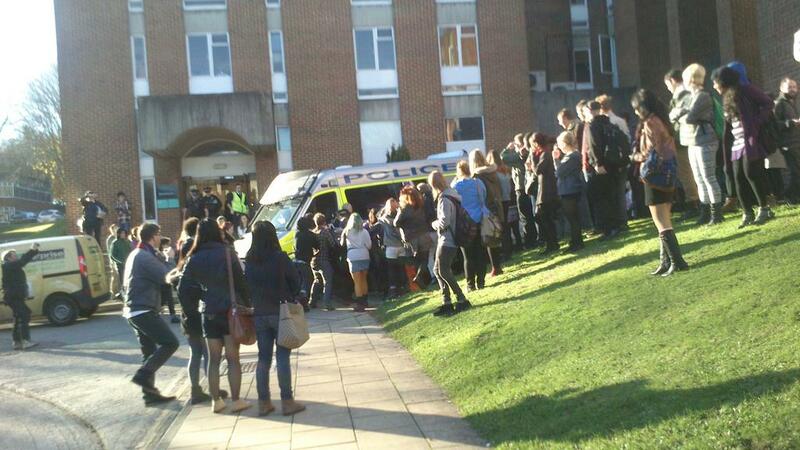 And he very braveley came onto campus to discuss it. 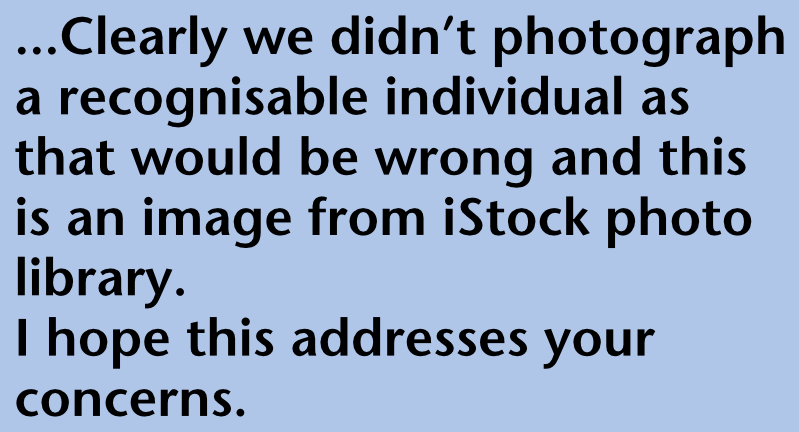 Big mistake. 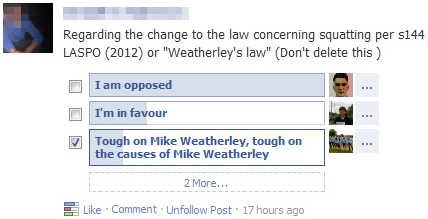 And people did indeed become tough on Mike Weatherley. In fact, all the everyday University posters in the building in which he was due to speak were methodically replaced with anti-anti-squatting posters (Is this right? -Ed. ), some of which tastefully depicted Weatherley dressed as an SS officer. But just as he crossed the threshold in person, some protestors (rather predictably) started throwing rocks and, worse, rotten tomatoes, so he immediately turned round and fled, chased by an angry mob. He was then bundled into the back of a police van – just like a squatter in fact – and spirited away to safety. Despite all his outraged press statements, I suspect that Weatherley is secretly pleased with how his brief visit to campus went. He was completely let off the hook, and saved from having to justify his ludicrous policy in front of a group of angry young people. If only the talk had gone ahead it would not merely have been interesting, but highly likely to show him up for the nasty piece of work that he is. As things are, he got out of a ‘difficult gig’, managed to save face and even gets to play the sympathy card as well. As part of Gabrielquotes’ longstanding commitment to providing neutral information to the public, we would like to remind our viewers (or the 18% of them expected to stand in for British democracy today) once more of the array of candidates in the Sussex Police & Crime Commissioner election. There’s Godfrey Daniel, Labour, a mental health worker, sitting magistrate, member of the Sussex Police Authority and former member of the Sussex Probation Board. 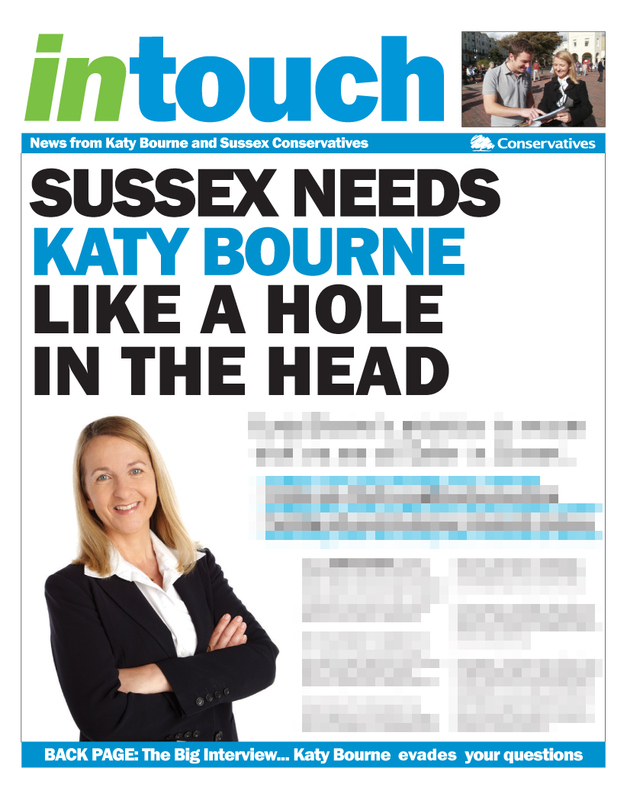 There’s Katy Bourne, Conservative, who used to run a dance company. There’s David Rogers, Lib Dem, whose own party is urging people not to vote for him. And there’s Tony Armstrong, UKIP, who doesn’t like black people. While this particular idea of Theresa May’s is so stupid it hardly bears thinking about, polls are open until 10o’clock tonight so please use your vote and use it sensibly. Because at the moment we’re faced with a choice of a racist PCC (Armstrong), a weak PCC (Chisnall), a lame duck PCC (Rogers), a tapdancing PCC (Katy Bourne) or a competent PCC (Godfrey Daniels). The street is not a sun-lounger. Of course, my PCC back home in Surrey is also being elected today. One of the frontrunners is the Conservatives’ Julie iles, whose campaign literature spells her surname with a lowercase ‘i’ and whose website spells it with a capital ‘I’. That’s bizarre. 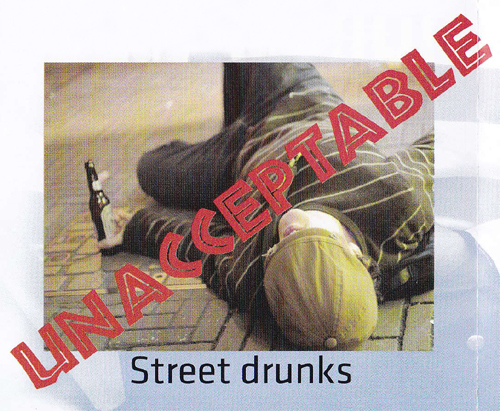 Anyway, her leaftlet featured a picture of someone lying dead drunk in a street, because she wants to crack down on that sort of terrorist-type behaviour. 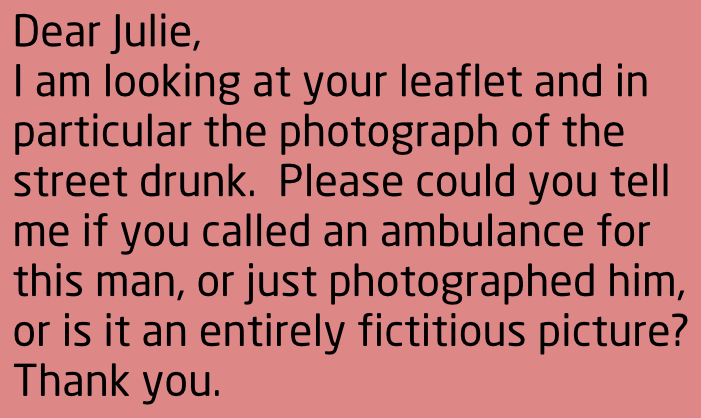 At least Ms iles has a good sense of irony. 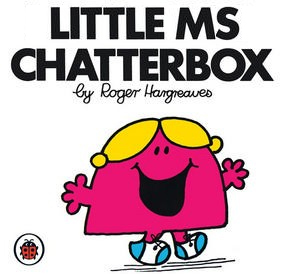 Brighton Council are planning to abolish the titles ‘Mr’, ‘Mrs’ and ‘Ms’ from official forms and correspondence because it labels people in ways they may not appreciate, and because a woman’s marital status is not relevant to, say, reporting a broken street light. 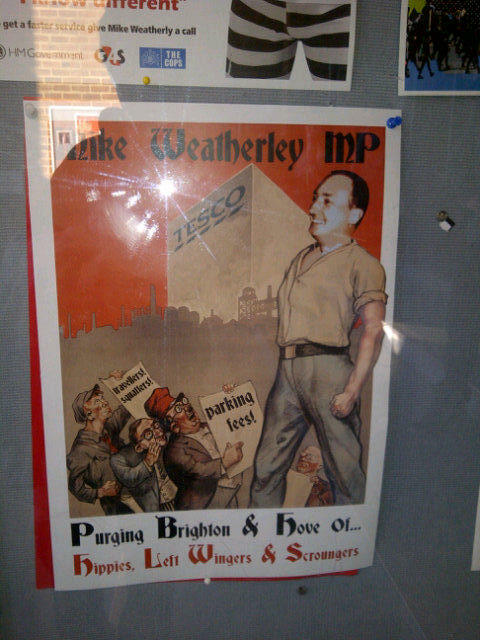 In tonight’s episode, the Nasty Party was portrayed by Mike Weatherley and the Nasty Mob was portrayed by the student body of Sussex. Katy Bourne taught me to do a foxtrot then decided to try running a police force. George Campbell (but not ‘Sir’) supported titles. This was a Gabrielsquats production. Excellent! (Did you see that the Brighton etc Lib Dems claimed to find themselves in ‘an usual position’?